After adding a brand spankin’ new rookie affiliate in the Appalachian League at Greeneville in 2018, the Reds moved their AA affiliate from Pensacola to Chattanooga in the Southern League for the 2019 season. The Lookouts’ AT&T Field represents a move back to Reds Country for the AA affiliate after a 21 year association ended in 2008. I’m excited about the move and consolidating the A, AA and AAA affiliates in Reds country. I certainly won’t miss the rain from the gulf coast ballgames. While the minor league rosters will not be set for several weeks. 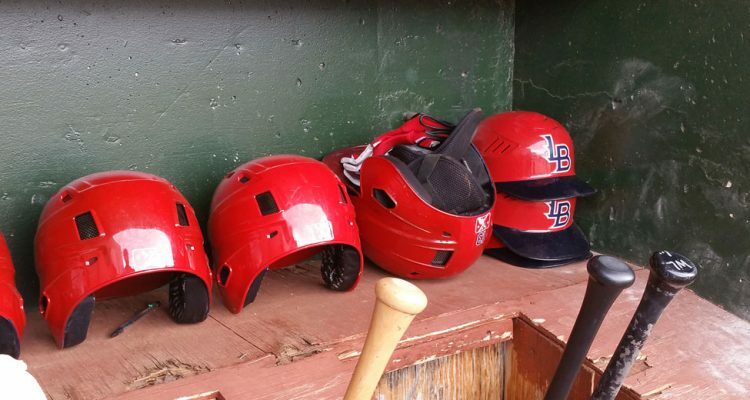 The minor league coaching staffs were finalized in January and February, so I thought a brief introduction to the teams and coaching staffs would make a nice launching point to the 2019 Down on the Farm. With that thought in mind, I present the top six Reds 2019 minor league affiliates and coaching staffs. During 2018, the AAA International League pitchers averaged 26.0 years of age and hitters averaged 26.4 years of age. Pitchers produced a 3.88 ERA while hitters slashed .253/.321/.391/.712. This will be Jody Davis’ 4th season in the Reds organization. Last season, Davis managed the Pensacola Blue Wahoos and served as the Bats hitting coach in 2016 and 2017. During 2018, the AA Southern League pitchers averaged 23.0 years of age and hitters averaged 23.9 years of age. Pitchers produced a 3.80 ERA while hitters slashed .248/.325/.378/.695. Pat Kelly has 15 seasons managing within the Reds organization and managed the Lookouts back in 1993 and 1994. Last season, Kelly managed the Louisville Bats before taking over as interim bench coach for the Reds when Riggleman was named interim manager. He managed the Pensacola Blue Wahoos from 2015-2017. The transition from the lower minor leagues to AA is considered by many as the make or break point in most players’ development. Sometimes we see the right person, in the right position, at the right time, doing the right thing. As a pitching coach, I believe Danny Darwin exemplifies such an individual and serves as a pitching development guru within the Reds organization. During 2018, the A+ Florida State League pitchers averaged 22.0 years of age and hitters averaged 22.3 years of age. Pitchers produced a 3.77 ERA while hitters slashed .252/.323/.369/.692. This will be Ricky Gutierrez’ 3rd season in the Reds organization, all with the Daytona Tortugas. Last season, Gutierrez managed the Tortugas and served as the Tortugas bench coach in 2017. During 2018, the A Midwest League pitchers averaged 20.8 years of age and hitters averaged 21.3 years of age. Pitchers produced a 4.79 ERA while hitters slashed .251/.325/.373/.698. This will be Luis Bolivar’s 7th season in the Reds organization. Bolivar managed the Dayton Dragons for the past two seasons and served as the Dragons hitting coach from 2014-2016. During 2018, the Rookie Pioneer League pitchers averaged 21.3 years of age and hitters averaged 20.7 years of age. Pitchers produced a 5.08 ERA while hitters slashed .278/.351/.431/.781. This will be Ray Martinez’ 9th season in the Reds organization and 4th season as the manager of the Billings Mustangs. Martinez managed the AZL Reds in 2015 served as the hitting coach for multiple teams from 2011-2014. During 2018, the Rookie Appalachian League pitchers averaged 20.8 years of age and hitters averaged 20.3 years of age. Pitchers produced a 4.79 ERA while hitters slashed .262/.350/.397/.746. This will be Gookie Dawkins’ second season as the only manager of the Greeneville Reds. Dawkins previously served as hitting coach for multiple affiliates in the Reds organization. While the Cincinnati Reds Baseball Operations structure and on-field management have undergone a dramatic and extensive overhaul, the Reds have carefully and deliberately maintained a consistent on-field management structure within their minor league organization. I grew up in the northern Cincinnati burbs as a Baby Boomer dreaming of playing baseball at Crosley Field and relishing those few opportunities to attend an actual game in that hallowed venue while trying to see around those obnoxious iron supports. I cried when Frank Robinson was traded and literally howled with joy like a banshee when the Tom Seaver trade was announced. After completing a stint in the US Navy and graduating from The Ohio State University, I remained in central Ohio and raised an exceptionally 'diverse' family. I also checked off a bucket list item after the Shin-Soo Choo trade by purchasing my first season ticket package . Agreed. I appreciate Tom’s articles very much. I also look forward to reading The Cossack’s thoughts on our Reds more regularly. Boy, the lack of slugging % in the upper minors from hitters really sticks out. I think it speaks to how ‘filler’ players are the backbone of the minor league system. Speaks to the ballparks, too. Pensacola is notorious for suppressing power in recent years (it’s always killed power to right and right-center, but they moved the left field fences back 15 feet a few years ago so they could play college football in the stadium and it started hurting power there, too). Louisville also really hurt power in 2018, particularly to left and center. In 2017 it still hurt power, but not quite as much. Yes- look forward to the weekly post. I was at Osceola County stadium in Kissimee yesterday- home of the Atlanta A team the Firefrogs. I believe they open the season with Daytona. The park is huge- 390 to left and right center with double posted 410 signs 20 feet on each side of CF. 330 down the line. Welcome to the booth Cossack! Look forward to your commentary. Great start Warren. Will be looking forward to your weekly reviews. There will be lots of interesting things happening in the minors this coming season. The Louisville starting rotation looks to be one interesting story to start the year. It has the makings of being quite remarkable if Santillan and Vlad Gutierrez join Mahle, Romano, Reed, and Sims there. The OF at AA Chattanooga looks to be very interesting, too. Better get Doug Gray’s prospect handbook and keep it handy. 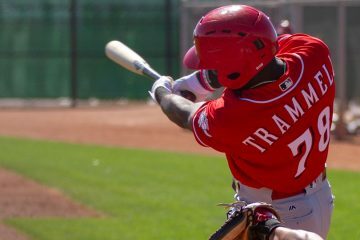 If you do any features on any of the minor league players, I hope you will look into the friendship between 2 of the Reds top prospects, Tyler Stephenson and Taylor Trammell. They are both from Kennesaw, GA, not far from Chattanooga, TN where both should be playing this year. They are a couple of characters in their Step Brothers antics. Will be looking forward to many a good thing from you. Good luck. I hope you get the little Cossacks out to a minor league game or two. Congratulations to the Cossack. As with RML there are several commenters on RLN who I enjoy reading. The Old Cossack’s at the top of the list. Interesting that pitchers are, on average, older in the Pioneer League than they are in the Appy League and Low A Ball. Is it considered an advanced Rookie League? Based on how the Reds have utilized their Appalachian League and Pioneer League affiliates, yes. A lot of college draftees, especially pitchers, will begin in the Pioneer League. If prospects are promoted through the system, they have generally gone through Greenville before going through Billings. While there are some out there who will argue, both Billings and Greeneville are considered Advanced-Rookie level. The Reds treat Billings as the more advanced level of the two.